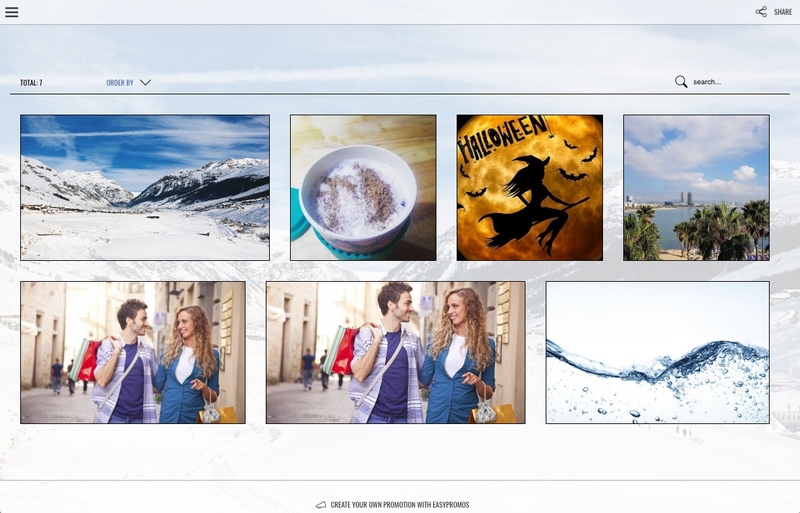 The tiled gallery layout is only available in Easypromos Premium and White Label versions. Maximum height of rows: it allows to specify the maximum height in pixels of the different elements within the tiled gallery. The value by default is 300px. 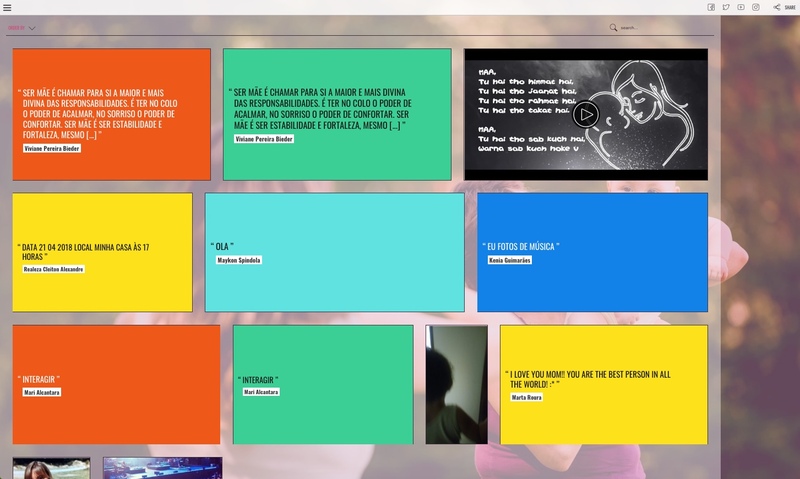 Color configuration for quotes: In text-based contests, users' entries will be displayed within the tiled gallery as quotes inside a colored box. This box can be customized with a background color and font color. Discover all the customization options for text-based contest entries. The application will automatically resize the pictures uploaded by the users for the correct visualization within the picture gallery. When the tiled gallery layout is enabled, this will be the default layout used to display the pictures in the gallery when users access the contest gallery. Important note: The tiled gallery layout is 100% responsive, but in case of a device with a minimum screen resolution of 550px width, the classic layout will be directly used, since this layout offers the best user experience in low resolution screens, thus optimizing usability. When hovering the cursor over the entry, the basic information related to the entry appears: user name, date, photo or video description if it exists, the possibility to vote and share the entry. Note: This information can change depending on the entry width within the gallery. For more information, check the last part of this article, the section ‘Maximum height option’. When clicking on the entry, the viewer will be displayed, which enables the entry to be seen individually and enlarged, with the user information, description, and the actions over the entry: share, vote and comment. Additionally, the viewer system enables the users to navigate between the different elements using the arrows or directly using the computer keyboard with ‘next’ and ‘previous’ buttons. The different elements are displayed in the gallery with pagination. From the promotion edit form administrators can select the number of entries that will be displayed per page in the gallery. The number of elements that can be displayed can be from 5 to a maximum of 200. The value by default is 25 entries per page. By default entries are ordered from most to least recent. From the promotion edit form, there is the possibility to order the entries at random, so that every time the gallery is loaded the entries will be displayed in a new order. In case voting is enabled, a new option will be available in the gallery that will allow users to order the entries from more to less voted. There is the possibility to hide the author of the entries. To do so, the option ‘Anonymous entries’ from the promotion edit form needs to be enabled. Tiled gallery layout fits all the entries of the contest into the available space as if they were bricks in a wall. This method of organizing them allows the gallery to change its appearance depending on the number of entries, since each new entry affects the distribution of the rest of the entries in the gallery. Regarding the setting up of this layout the only requirement is the maximum height of the rows, which has a direct effect on the number of entries that will be included in each row. Note: Since the gallery works with the pagination system, it can happen that in the last row of the page there aren’t enough photos to complete the available width. 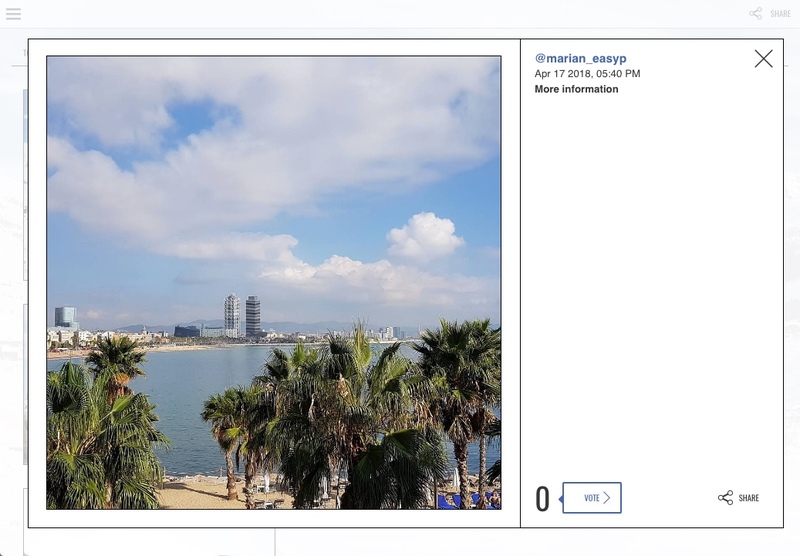 As we can see in the previous schema, the maximum height option available from the promotion edit form allows to control the dimensions of the photos within the gallery. This way, when defining a high value for this option, the photos will be displayed in a bigger size, but there will be fewer pictures per row. On the contrary, when defining a low height value, the photos will be displayed in a smaller size, but there will be more pictures per row. The recommended values for the maximum height option are between 200px and 400px, and the default value when the gallery is activated is 300px. Images wider than 200 pixels: all the information is displayed. Less than 200 pixels: the icon to enlarge the image is hidden (although this action can be performed by clicking on the image). Less than 180 pixels: the comment of the entrant is hidden, if it exists. Less than 150 pixels: the button to share, the name of the entrant and the date of registration is hidden. Less than 120 pixels: the button to vote is hidden. Less than 50 pixels: the user avatar is hidden.